Kik, the Canada-headquartered mobile messaging service that hit 50 million registered users this month, has closed a $19.5 million Series B round as it prepares to begin drawing revenue for the first time with a move into gaming and other content. The round is led by Menlo-Park based Foundation Capital and includes participation from RRE Ventures, Spark Capital and Union Square Ventures, three investors that took part in Kik’s $8 million Series A round in 2011. As part of the deal, Foundation capital partner Anamitra Banerji — who was notably Twitter’s 30th hire and spearheaded the company’s early monetization efforts — will join the startup’s board. Kik founder and CEO Ted Livingston tells me that the investment is a final injection of fresh capital before the company doubles down on the development of its content strategy, which began when it launched its HTML5-based Cards platform in November 2012. It will also be used to fund new hires, with the company aiming to double the size of its 30-person operations within the next year. “The round funds us for a while and it means that we’re not under direct pressure to monetize the service, but the opportunity is now there to make money, and it begins to fit into our roadmap,” he said. Livingston explained the significance of the launch of Cards back when the feature went live, suggesting that the HTML5-based content platform — which lets developers produce all manner of content for consumption within chats — would be Kik’s path to monetization. Now, six months later with more than 25 million downloads of Cards, he shed more light on where that route will take the service, and it is primarily into games. That’s inspired in part by happenings in Asia — a three-month trial of Kakao Talk’s games service drew 82 million downloads and revenues of $51.6 million, while Line‘s gaming platform is past 100 million downloads — and by Kik’s own experiences, which saw a basic Card-based game reach 1 million downloads within a month, despite little promotion. 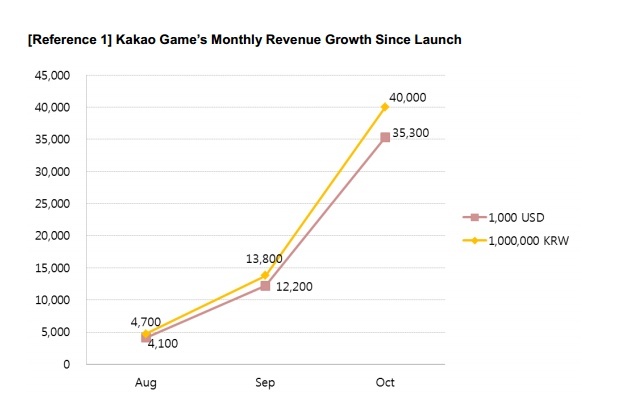 “The success of Kakao Talk and our own game shows the potential. Every games company in the world has reached out to us, and we’re working with a number of gaming companies to build a mobile-only platform,” Livingston says. As he’s said before, Livingston explains that — given the alternatives for monetization — content is the best solution for Kik and its users. Bringing Banerji on board is also a big deal for Livingston, who explains that his experience of turning Twitter from a popular messaging service into a content-focused business has many parallels with the current position that Kik (and indeed the mobile messaging industry at large) is in. WhatsApp is seen by many as the company to beat and, after recently revealing an active user base of 200 million plus there is little doubt that it leads on figures, although Livingston believes that Kik’s big rival may be looking at things differently. Explaining why Kik has stuck to iOS, Android and Windows 8 apps for high-end devices, eschewing the multi-OS approach of WhatsApp and others, Livingston says that “every aditional platform becomes extra work” when turning a messaging service into a content platform. That explains why Kik is yet to develop its app for the BlackBerry 10 platform, for one — it would need to “reach good adoption and have a good quality browser” for that to change, Livingston said — and he likens the fall of BlackBerry to WhatsApp’s current position. Reflecting on the type of content that has proven popular on Kik’s Card platform — which includes Reddit Pics, YouTube Videos, a Sketch drawing app and Bing-powered Image Search — Livingston says that user demand has been strong across the board. “All kinds of Cards are extremely popular. We roll out a new Card and it gets gobbled up, our user base is hungry for additional experiences,” he says. That certainly bodes well for its upcoming expansion into additional content. In addition to gaming, Kik will begin monetizing Cards in due course, when the firm allows them to, developers will able to create paid-for content for users. In that scenario, content would be bought as an in-app purchase, with revenue shared between the developer, Kik and, of course, Apple/Google (for iOS and Android). Livingston says that the games would be free-to-play, monetized by in-app purchases. Of course, Kik isn’t the only messaging service that is pushing games and content, a range of Asia-based service have stepped into in the US. Line appointed a US lead to tackle the market, while Tencent is said to be considering a similar approach for its WeChat service. Despite that, Livingston sees differences between these services and Kik, namely the way information and content is presented. Line, WeChat and others shower users with a bevvy of options from launch but Kik is deliberately more subtle, enabling users to install content and features via Cards. “Asia content, such as stickers [which are now supported by Path and Facebook] are a very specific example of content that can work in the US, but we don’t agree with [their idea of] throwing everything and the kitchen sink into our app. While we do agree with content, we believe that our HTML option is a much cleaner way of doing that,” he says. These are interesting times for Kik which had always maintained its position as a chat-only app for some time. Asia’s messaging apps began making a content play around a year ago — when both Kakao and Line announced gaming and content platforms — and Kik is the first pure-messaging player to embrace that approach. It will be interesting to see how Kik’s subtle approach to content plays out with its growing user base, and whether other rivals — namely WhatsApp — will follow suit in time.